Summer is here with a vengeance. On hot days it's very likely something in the power system will break and cause someone to lose power. And the weather bureau expects this summer to be hotter and drier than average – so your chances of losing power will be higher than normal. We've analysed outage data from the electricity distribution networks over the past nine years and linked it to Bureau of Meteorology maximum daily temperature data for each distribution network. 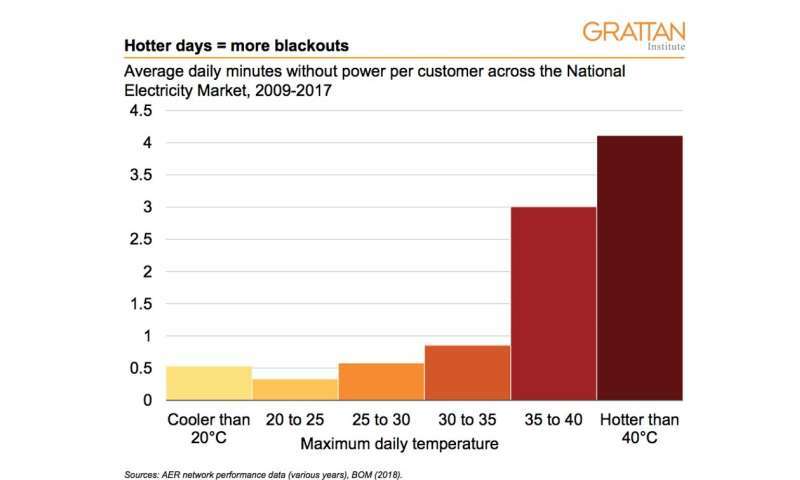 The findings are stark: customers are without power for 3.5 times longer on days over 35 degrees than on days below 35. When the air-conditioner doesn't work during a heat wave, people get upset and politicians rush to assign blame. They often point the finger at a lack of electricity generation capacity – just ask the current federal energy minister, who responded to a report forecasting supply shortages in Victoria this summer by saying: "This is a direct result of Victorian government policies forcing out reliable 24/7 power, and a failure to prioritise firming of heavily subsidised intermittent wind and solar generation." Media reports highlight this risk, too. But the truth is, if you do lose power it's much more likely to be because of problems in your local network. 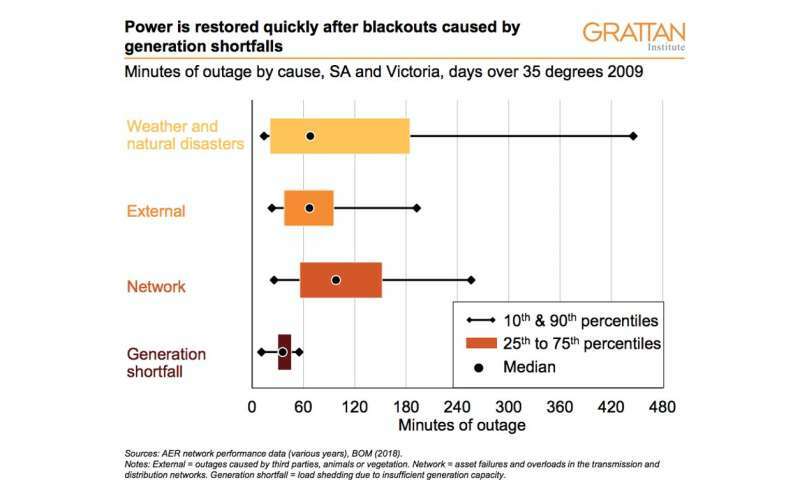 Outages caused by generation shortfalls are also easier to manage than network problems. Power can be restored at a flick of a switch, as soon as demand falls or supply increases. And the blacked-out areas can be rotated, to reduce the impact on any individual customer. By contrast, if your power goes out because of a network failure or storm damage, you're stuck with the problem until a crew can come out and fix it. Customers are unlikely to be willing to pay for more network "gold-plating". Research by Energy Consumers Australia shows more customers are satisfied with the reliability of their power supply than with the price they pay. Customers can also play an important role. If your power does go out, don't buy into the political blame game. Contrary to the impression the politicians and media might give, it's very unlikely the outage will have been caused by a lack of power supply – whether coal, gas or renewable.